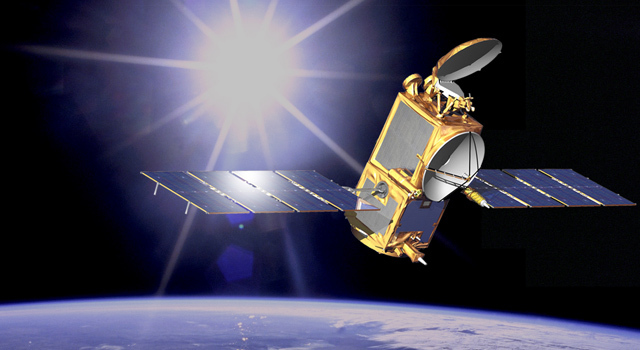 In the wake of the nuclear accident at Fukushima in Japan, the SIROCCO research group in Toulouse, overseen by CNES, has been simulating the dispersal of contamination at sea using imagery from the Jason and Envisat satellites. 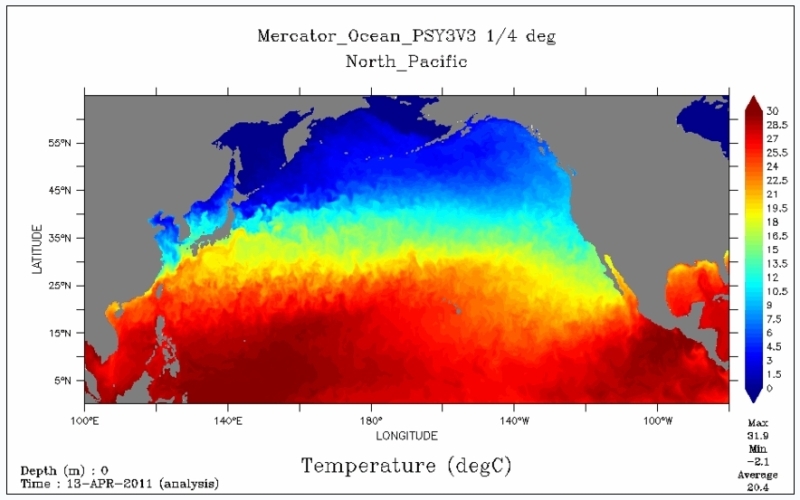 Water temperature bulletin for the North Pacific on 13 April 2011. Credits: Mercator Ocean. “We are feeding new data into our model every day to refine our scenario,” explains Claude Estournel, who heads the Coastal Oceanography team at the Aerology Laboratory in Toulouse. Researchers on his team are working with scientists from the LEGOS1 space geophysics and oceanography research laboratory as part of the SIROCCO group, which specializes in developing applied numerical simulation tools for oceanography. At the request of IAEA2, the group has been working since the accident at the Fukushima Daiichi nuclear power plant in Japan on a model that predicts dispersal at sea of radioactive elements like caesium-137. Model generated by the SIROCCO system of concentration of caesium-137 in sea water (in becquerels per litre) on 18 April 2011. Credits: SIROCCO group. “The kernel of our tool is built around a 3D model of ocean circulation,” says Florent Lyard, team leader at LEGOS and a member of the SIROCCO group. In particular, this model uses ocean bulletins providing information such as ocean temperature and salinity, supplied by the French Mercator Ocean forecasting system. The researchers then feed in the only data currently at their disposal: the concentration of radioactive elements measured in the sea near the power plant. The amounts of radioactive elements in water used to cool the reactors and then discharged into the sea, in atmospheric fallout or deposited on land and then washed into rivers remain unknown. “The final step is to validate our simulation with remotely sensed data,” adds Claude Estournel. 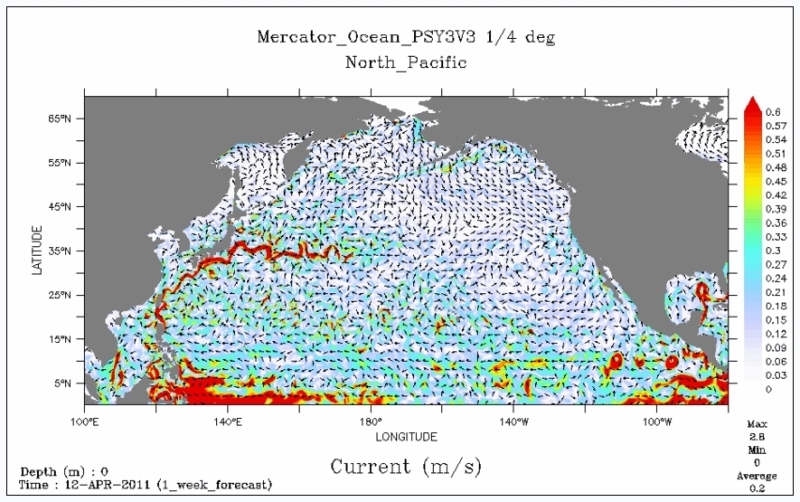 Bulletin of ocean currents in the North Pacific on 12 April 2011 (Kuroshio Current in red). Credits: Mercator Ocean. “To complicate matters further, we’re looking at a region where two major ocean systems meet,” the scientist explains. This is where the warm waters of the Kuroshio Current, the Pacific counterpart of the Gulf Stream, run into colder waters. “Temperature differences on the order of 12 to 15°C generate large eddies, which are dispersing radioactive elements in a northward or southward direction,” stresses Claude Estournel. Satellite imagery of regions where ocean circulation is particularly intense helps to forecast trajectories further ahead. Data from the Jason-2 satellite are used for Mercator Ocean’s forecast charts. Credits: NASA. For the time being, contamination of sea water from Fukushima is chiefly concentrated along the 50 km of coastline north and south of the power plant. Readings range from 10,000 to 100 becquerels per litre, varying with distance from the plant. Dilution of radioactive elements is proportionally 10 times higher further out to sea. 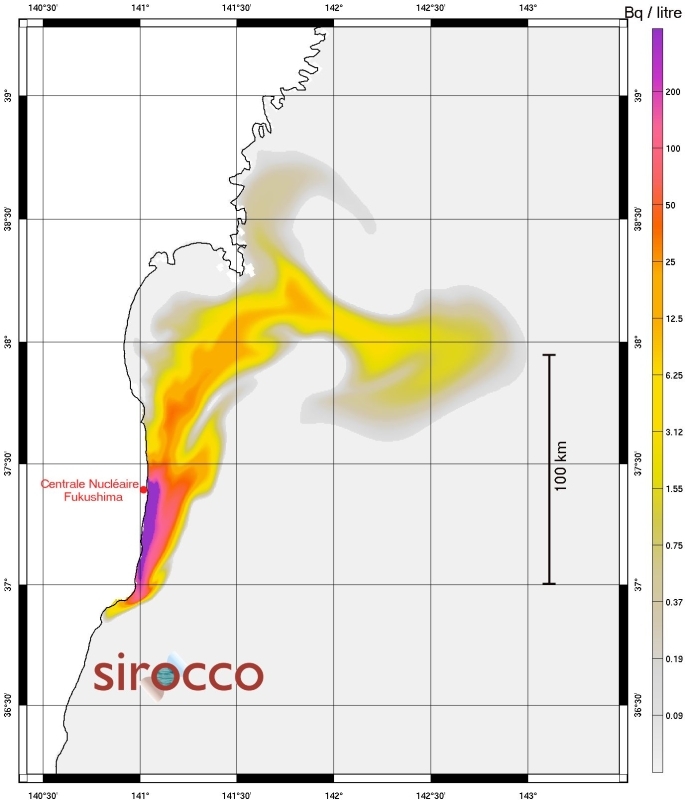 ISRN3, France’s nuclear safety and radiation protection institute, and IAEA are both interested in the SIROCCO group’s model and have underlined the need to study the impact of radioactive pollution on food chains.